From a very early age, Ava enjoyed reading biographies and autobiographies. She started by reading about Madame Curie and has since read hundreds of stories written about people and their lives. This booklet is a compilation of the books Miss Bluedorn has enjoyed over the years. While she admits this list is not complete, and never will be, it is a good place for a reader to begin finding out about others lives. In 1842 Allan Pinkerton left his native land of Scotland to avoid political persecution. By quite an accident, he became a detective by exposing a ring of counterfeiters. From his stirring and exciting exploits (including the saving of President Lincoln from assassination during the Civil War) emerges the portrait of a man who served the cause of justice with rare dignity and principle. The books are divided into 3 levels. The level 2 means that the book has more difficult language and usually contains more details about the person's life. 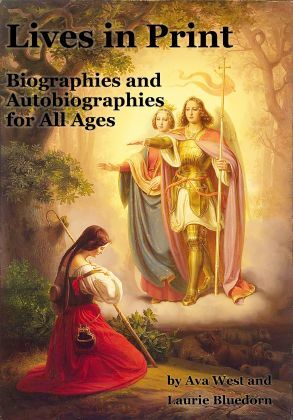 This booklet gives some wonderful introductions to biographies and autobiographies. The $2.99 price tag is definitely set to pay for the extensive work involved in compiling the list rather than the booklet, which is simple and basic.